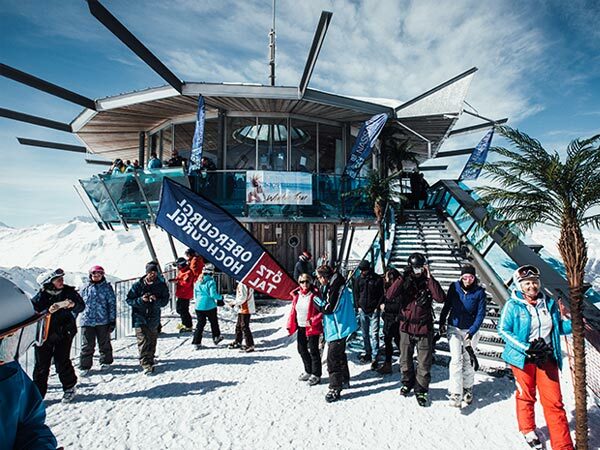 There is a lot of activity at the “Schermer Schirm” umbrella bar in Hochgurgl when I come down on my snowboard. 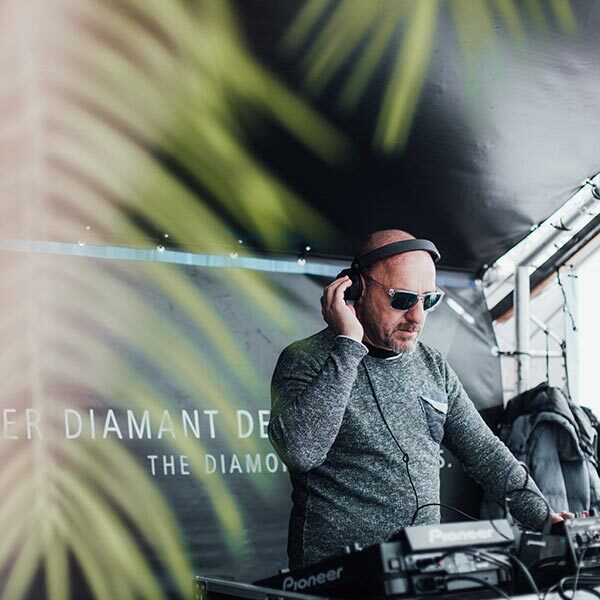 It’s lunchtime, and the Nassau Beach Club Crew is already positioning the huge speakers around the event location. 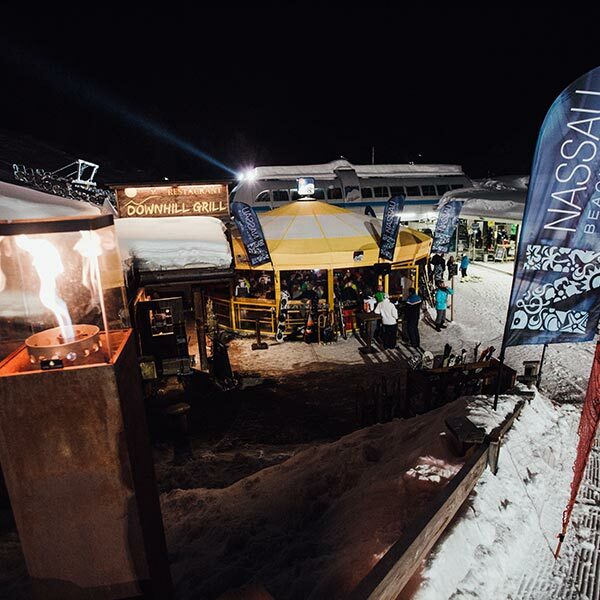 Yesterday night the Crew performed at the “Downhill Grill” next to the base station of Hochgurgl Mountain Gondola. Today they are ready for their next gig at a few more altitude meters. Meanwhile the team knows the ski area like the back of their hands. Last season the Crew performed for the first time here, this year the program taking place in several locations is equally varied. 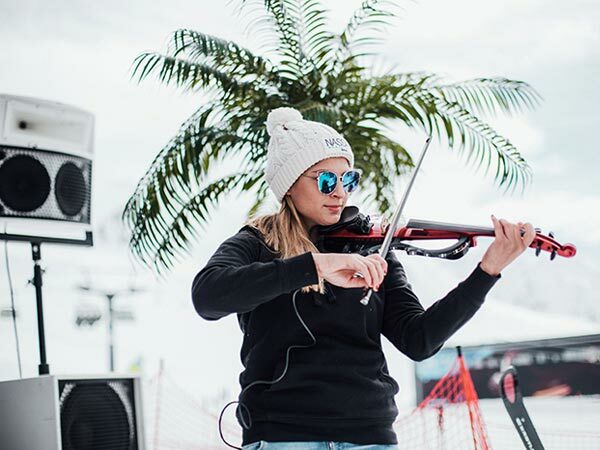 This year the event was kicked-off at the “quattro Festkogel Alm” in Obergurgl where the Nassau Beach Club DJs, musicians and singers got together for the party marathon. 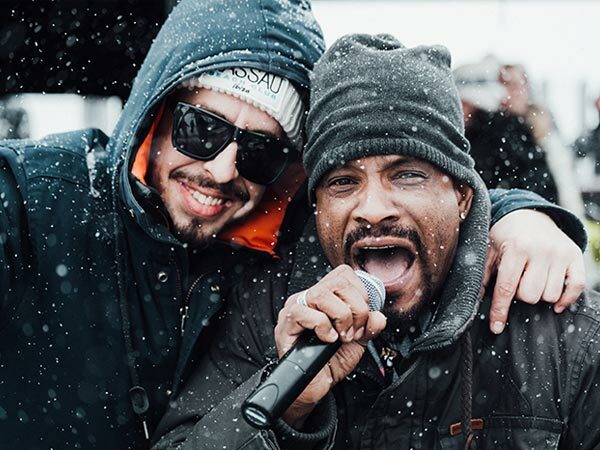 The following day a gig at Hohe Mut Alm was scheduled – unfortunately not in spring weather but in a special atmosphere: heavy snowfalls created an outstanding backdrop on the terrace, and added to an even more splendid atmosphere. 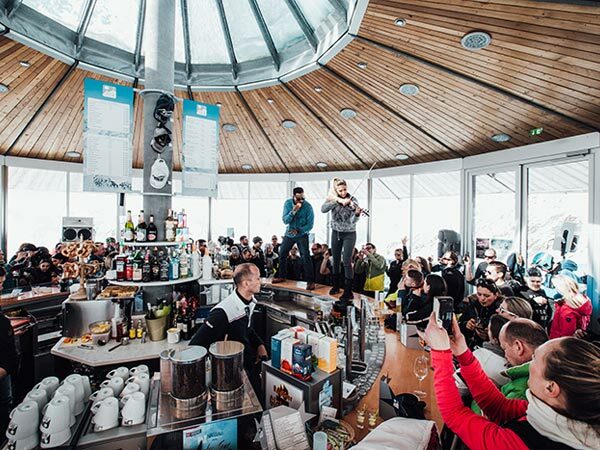 “The sky is the limit”: even higher – more precisely beyond 3000 meters above sea level – was the next day’s venue with a great performance at the “Top Mountain Star”, the most impressive Panorama Bar in Hochgurgl. 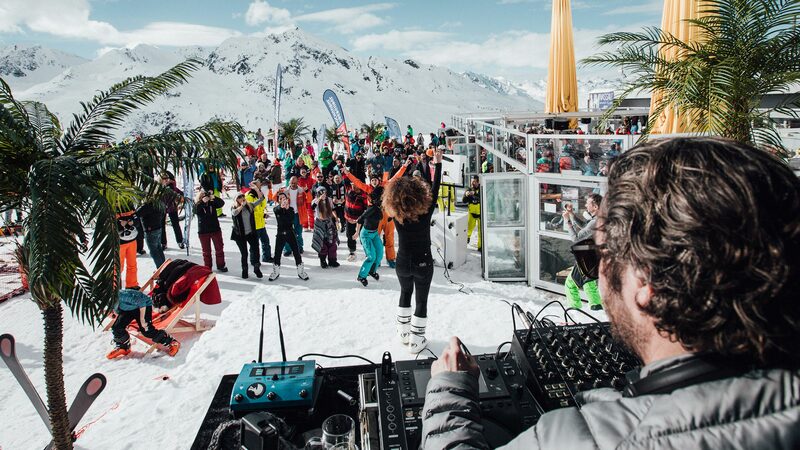 Of course, party people did not think twice and took the location by storm. 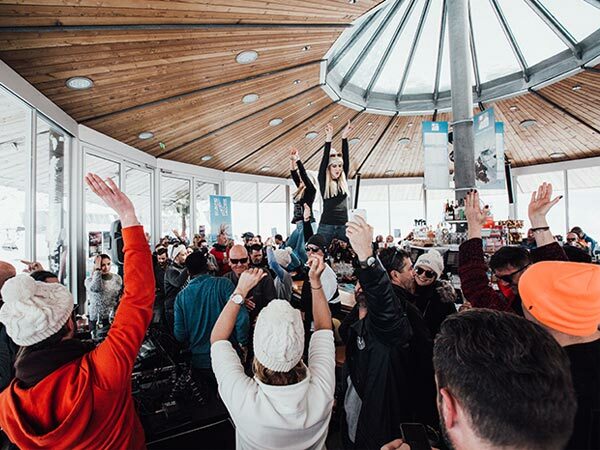 The scenic Panorama Bar was filled to the brim – a couple of dancing fans just conquered the bar counter to shake a leg. By the way: we should still talk about the “Schermer Schirm” and the day of my visit. 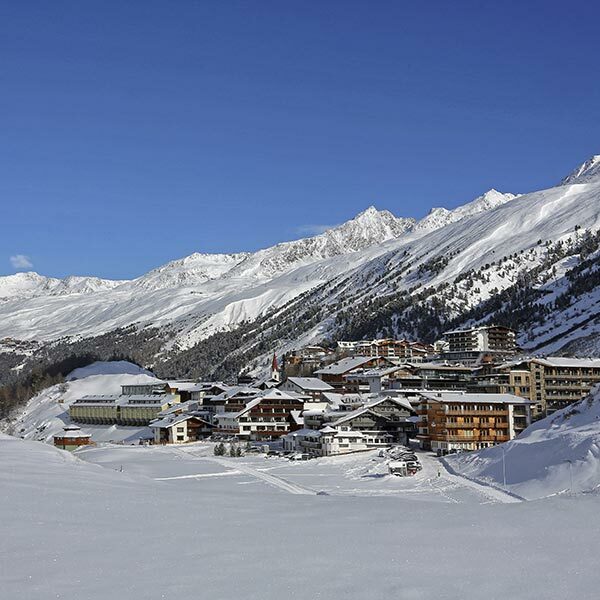 The preparation works are well underway while more and more skiers and winter sports enthusiasts appear curiously in front of the stage. Ironically, a House version of “Enjoy the Silence” by Depeche Mode sounds from the speakers. 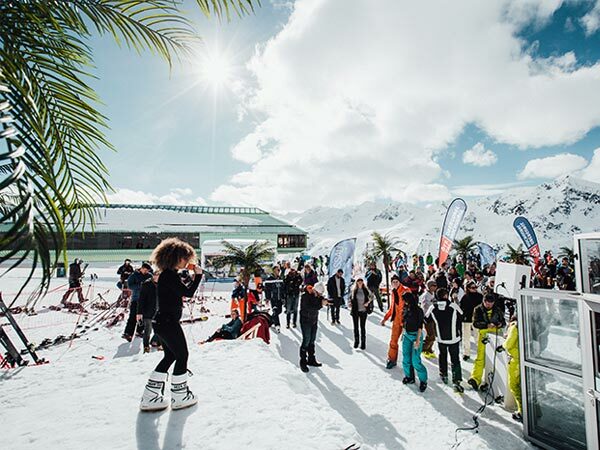 It’s quite amusing, even from afar you can make out some skiers (already perceiving the sound) who mix their ski turns with dance moves on the slope. Their last turn towards the “Schermer Schirm” reminds more of a dance swing. So ski turns merge perfectly into dancing steps on skis. I make myself comfortable on one of the sun loungers, soaking up the dreamlike atmosphere and the rays of sunshine. 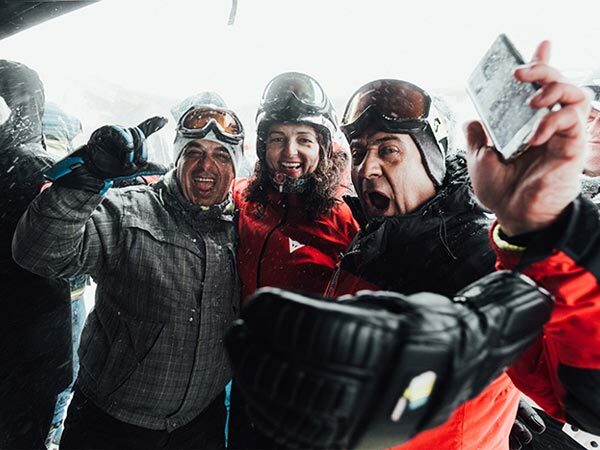 Above all, the palm trees placed around the location are a unique photo spot and therefore smartphones and cameras are whipped out everywhere: palm trees and snow – opposites attract! 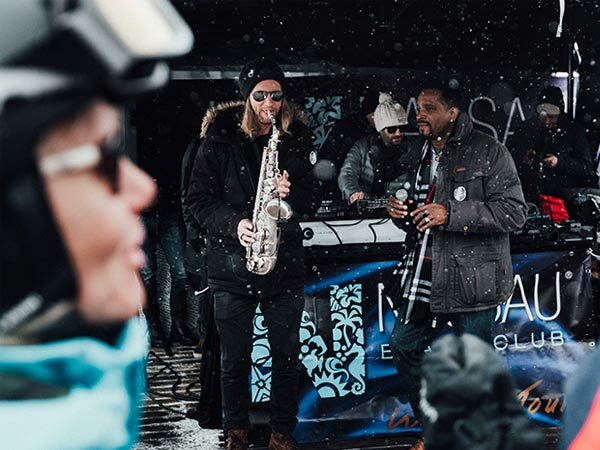 The excellent live musicians, including a sax player, a singer and an e-violinist, provide a stunning backdrop for all guests marveling at the dance floor in the snow.